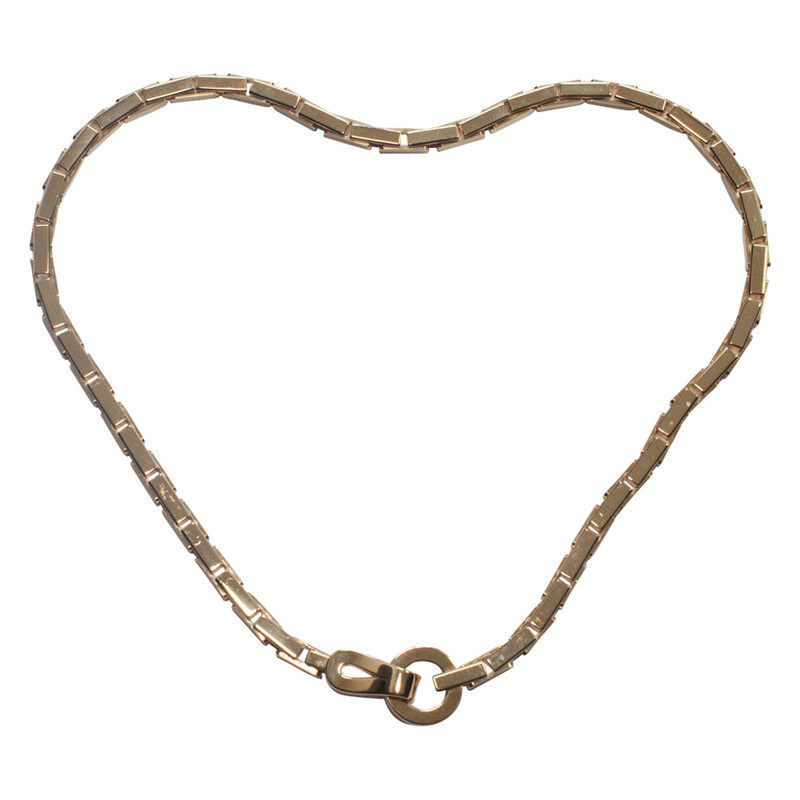 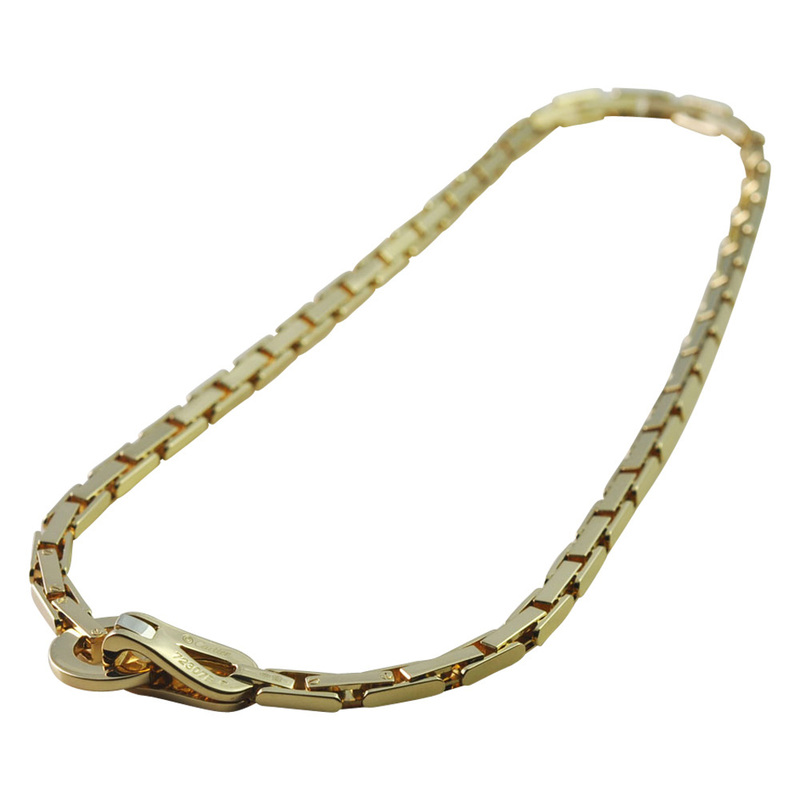 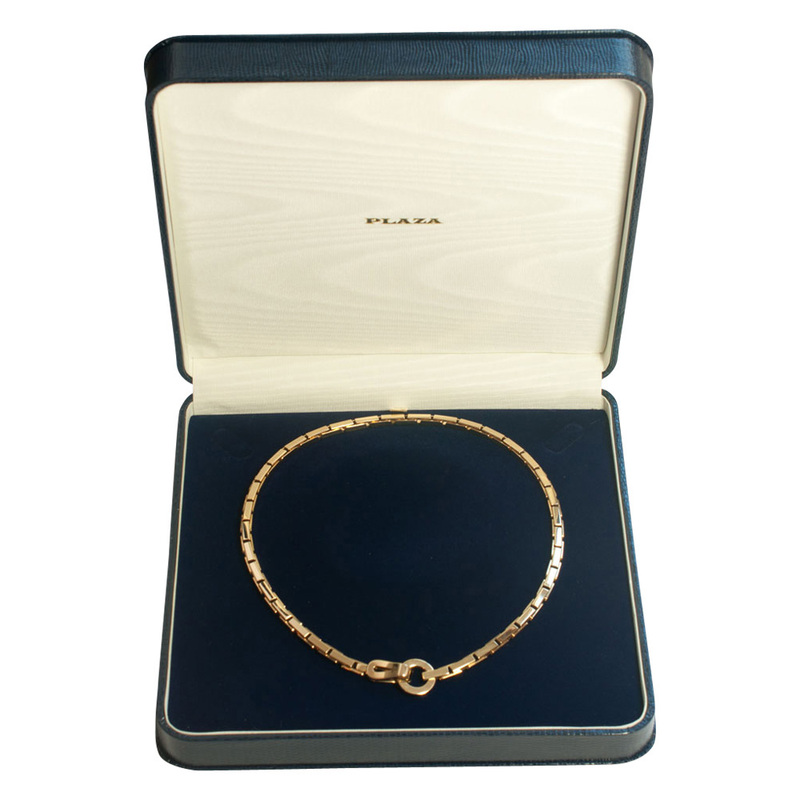 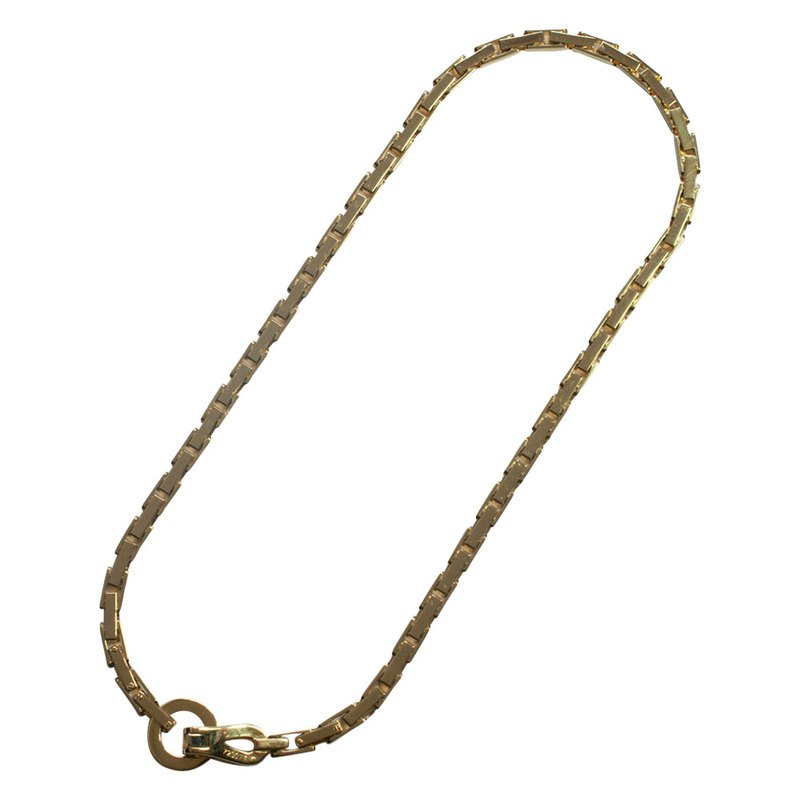 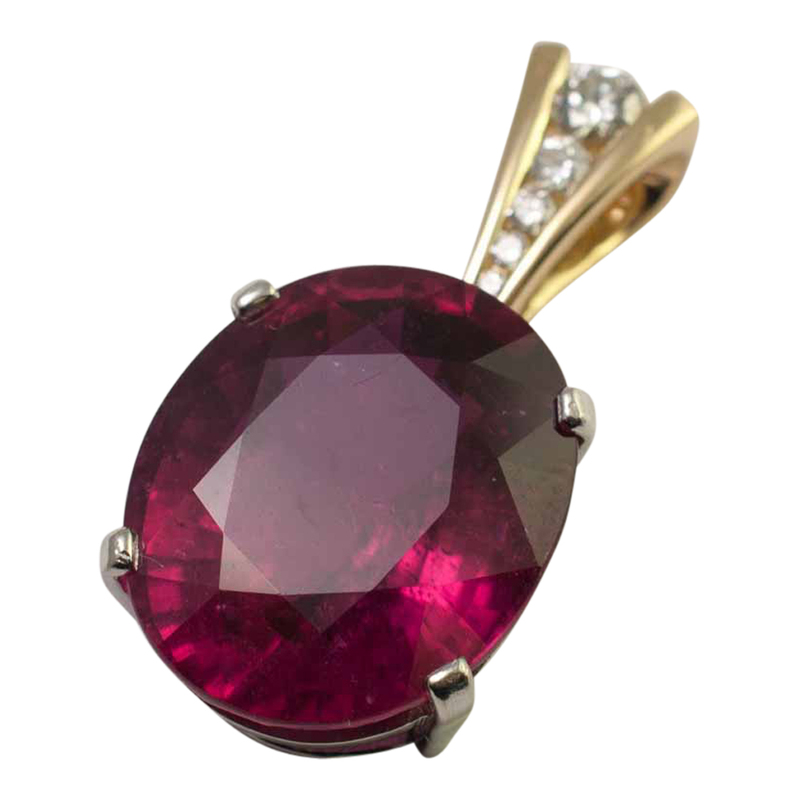 A fantastic opportunity to buy a beautiful, heavy, 18ct gold necklace by Cartier, in original condition. 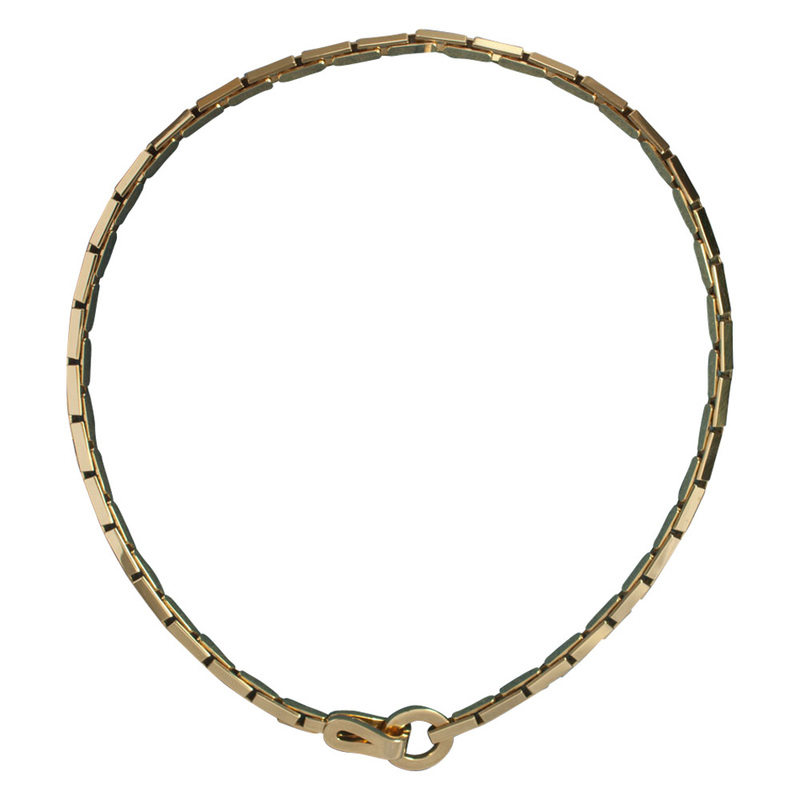 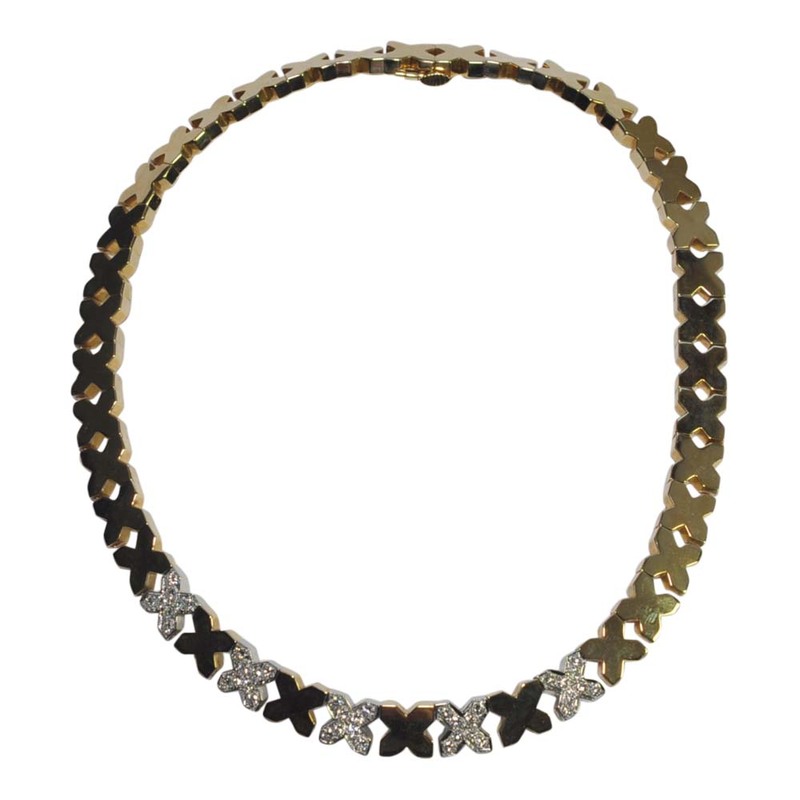 This is the iconic ‘Agrafe’ (staple) necklace in a rich 18ct rose gold. 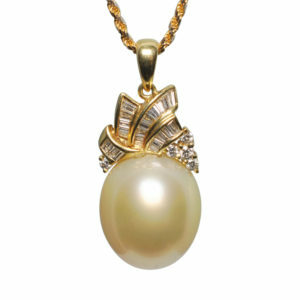 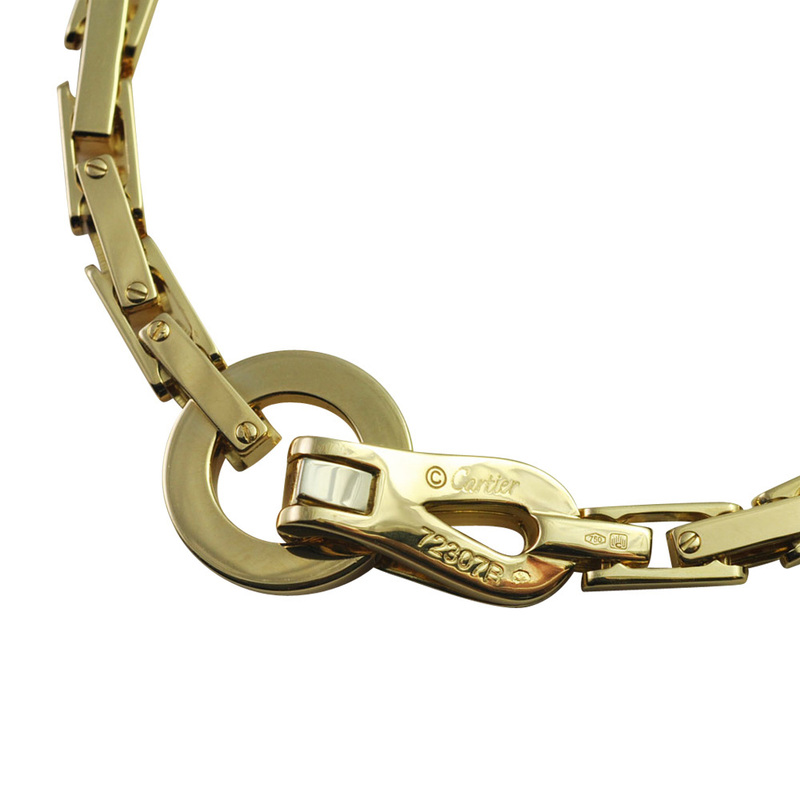 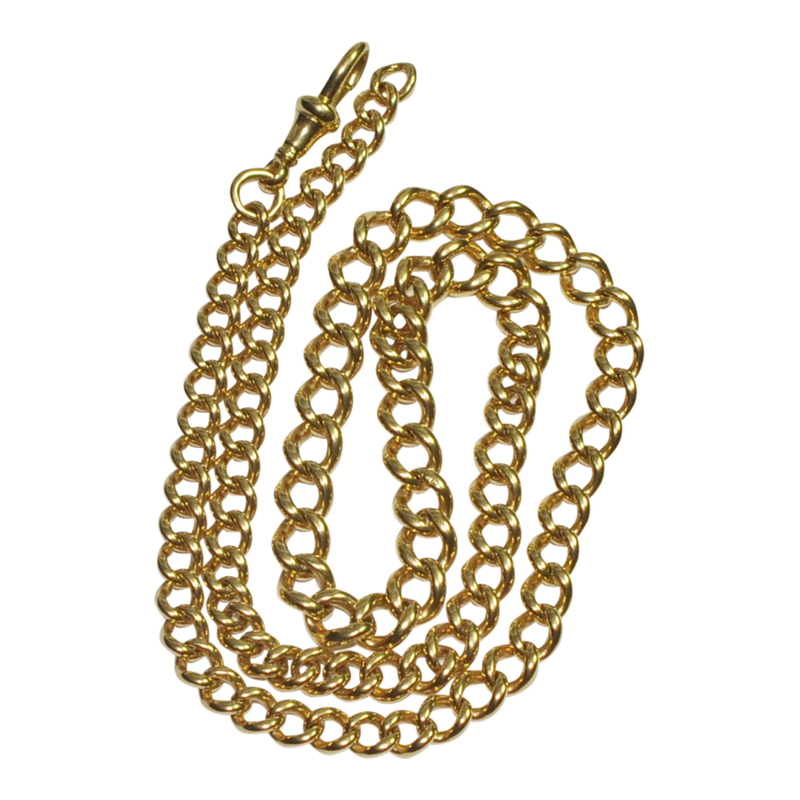 It closes with a hinged hook which folds onto a large gold loop which is worn either at the front or back. 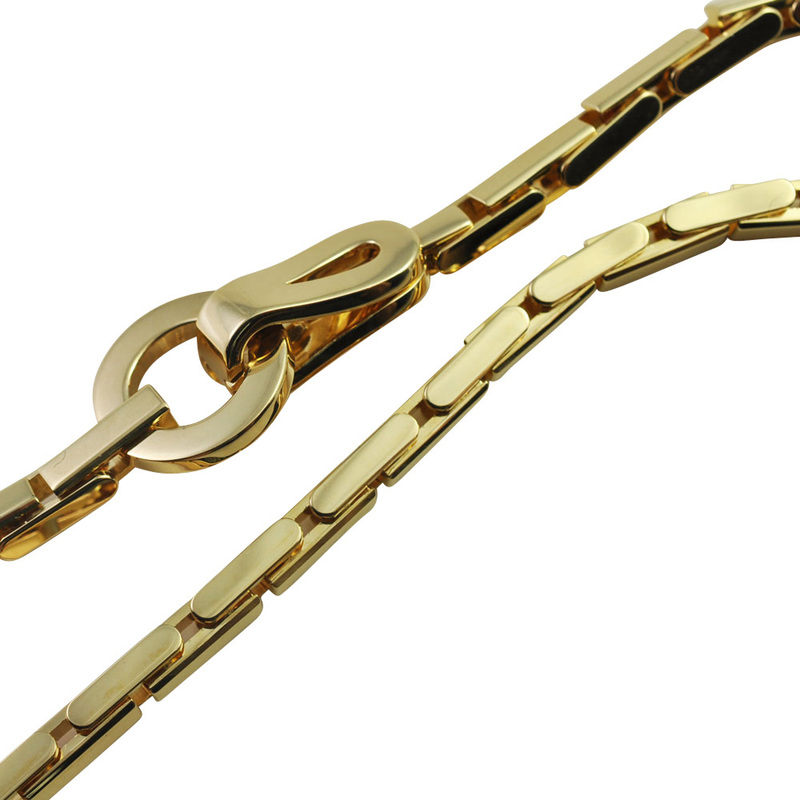 Length 42cms. 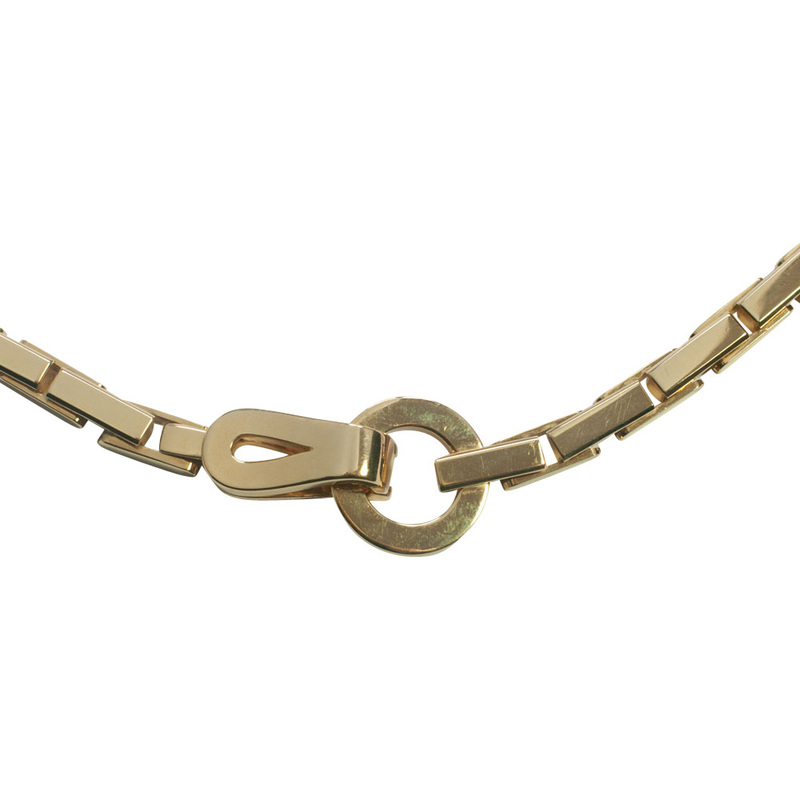 It is numbered, stamped Cartier, 750 (18ct) and carries the Swiss Convention mark for 18ct gold.